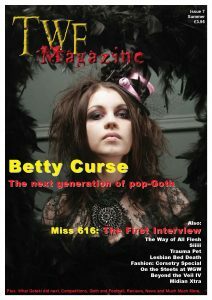 TWF Magazine was a frequent UK Gothic Magazine covering music lifestyle and fashion relevent to the Goth (and related) scenes. Having originally run from 1998-2001, TWF returned in 2004 in a full sized glossy format! It ran for 10 issues the last of which was released in 2008. 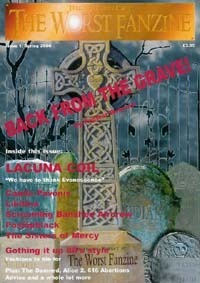 At it’s peak, TWF was one of the biggest selling UK Gothic Publications, and sold many issues around Europe and the World. 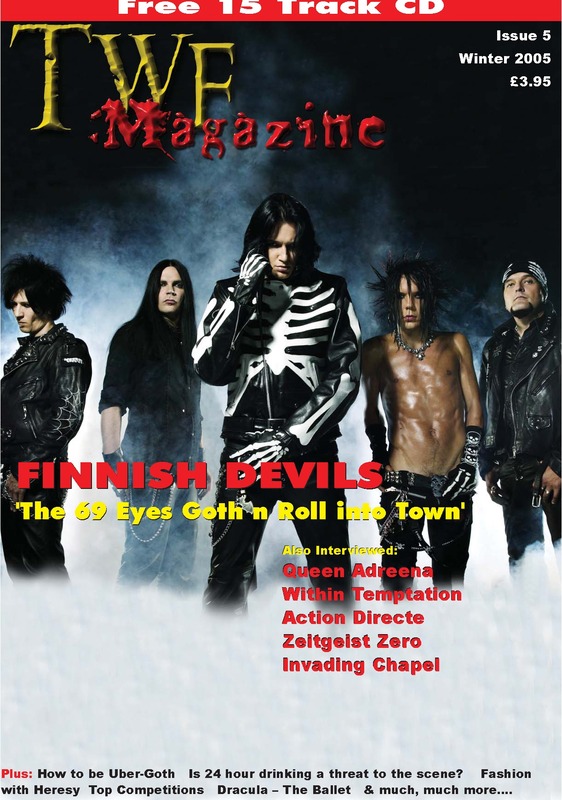 Most of the back issues are available for free download, click the ‘Back Issues’ tab and help yourself, of course many of the articles are out of date now – but it’s interesting to revisit the early days of some of these bands. 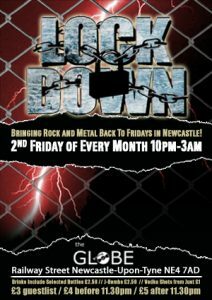 Kev, who ran TWF, has a radio show on www.1radio.org and also club DJs in the North East of England – so promos etc. still go to a good use. He also did reviews/interviews/etc for Dominion Magazine during its existence. 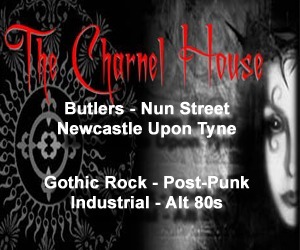 See our links or contact page for more info. Issue 10 – which was the last one we published – that it took a full year from the previous issue and didn’t land until Autumn 2007 was part of the problem. 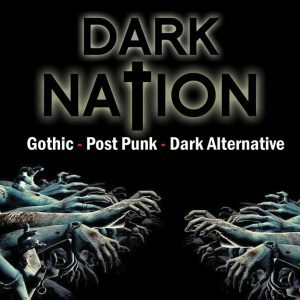 Interviews also present with Voices of Masada, Uninvited Guest, Leandra, Zombie Girl, Jesus on Extasy, Ashbury Heights and Lucy’s Drowing. It also had a free CD. We can’t find the pdf for this one either, booo…. 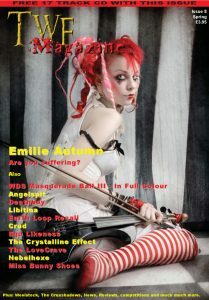 Issue 7 followed in Autumn 2005, the first issue to actually be released in an Autumn! 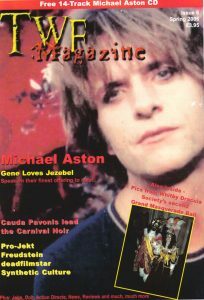 As well as an in depth interview with Michael Aston, there was also a very special GLJ CD exclusive to this release. Needless to say, copies flew out for this issue. The Finnish theme carried on into Winter 2005 with cover stars The 69 Eyes. Interviews also present with Queen Adreena, Within Temptation, Action Directe, Zeitgeist Zero and Invading Chapel. 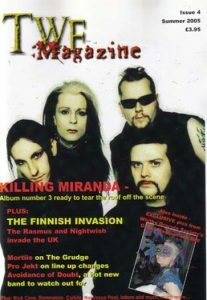 This was also the first issue to come with a free CD. Cover stars were UK band Killing Miranda and there were also interviews with The Rasmus and Nightwish to coincide with the then wave of Finnish bands taking the UK by storm. 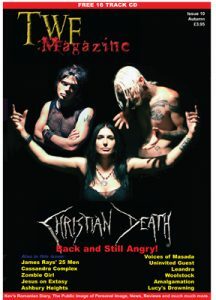 Issue 3 was printed in Winter 2004, concluding our comeback year. It was also the first printed by Jasprint, given a higher quality print for the physical issues. Unfortunately a pdf can not currently be located. 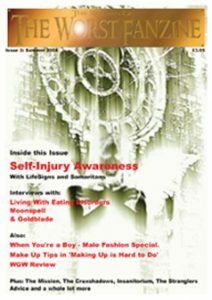 Interviews with Living With Eating Disorders, Moonspell and Goldblade – plus a feature on Self-Injury awareness – made this one of our best selling and popular issues. Unfortunately, an original PDF cannot be found at this time, we are still looking. Where it began – or, came back again.